Babies need cool clothes too and it's never too early to teach them about bitchin' record labels. 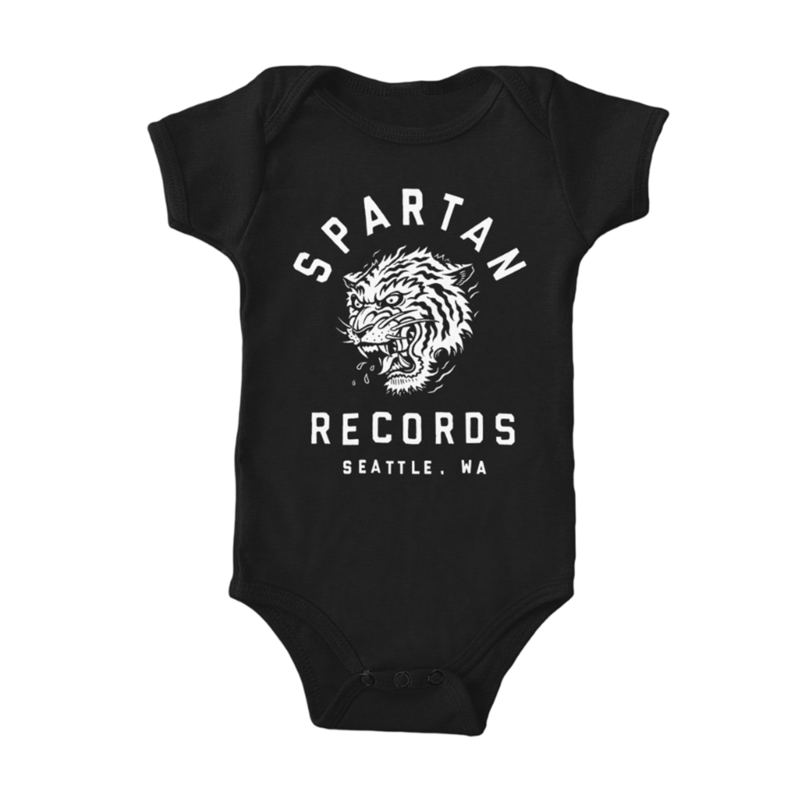 Show the world that you have exquisite taste by dressing your beautiful bouncing baby in a brand spankin' new (no pun intended) Spartan "Wild Tiger" onesie. It's printed on a Rabbit Skin brand 100% combed ringspun cotton onesie to ensure that your little nugget is as snug as a bug in a rug. All orders include an instant high-quality download of the latest Spartan 20-song sampler, Kind of Awesome.